Applications for recruitment of total 21 vacancies of sports quota in Eastern Railway are invited. The interested candidates can apply before the last date after reading the given instructions. The last date for applying is November 26, 2018. Candidates for these positions will be selected on the basis of interview and experience. Age limit – 25 years. Please see the published notification for age relaxation and other information. How to apply – For detailed notification and other information, please see the Employment News paper 10 – 16 November 2018 Page No.32. 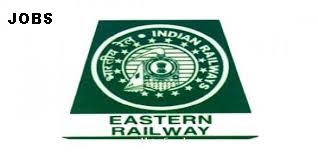 Apply soon – 21 vacancies of sports quota in Eastern Railway are invited. The interested candidates can apply before the last date after reading the given instructions. The last date for applying is November 26, 2018. Candidates for these positions will be selected on the basis of interview and experience.